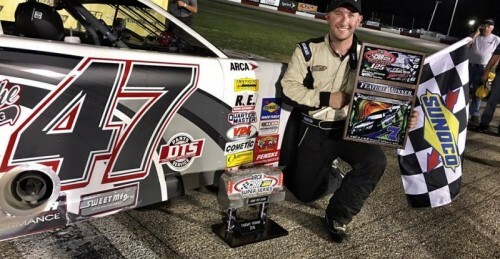 Salem, IN (June 26, 2016) – For the second consecutive year Wyoming, Michigan veteran racer Brian Campbell won the Bud St. Amant Memorial 125 Presented by Oakley Blacktop and Sizzle Marine, Saturday night at Columbus Motor Speedway with the ARCA/CRA Super Series Powered by JEGS. The event honored local racing legend Bud St. Amant, who passed away in January, 2014 after a long bout with cancer. A large group of Bud’s family was on hand for the event, including son Gary St. Amant who presented Campbell with his winning trophy. 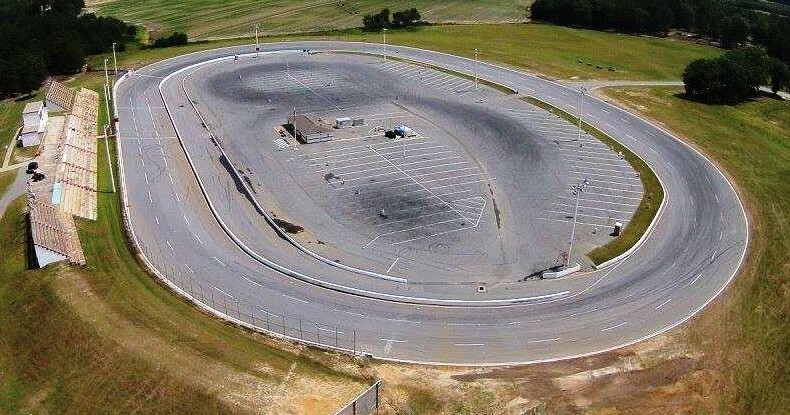 The JVM Racing promoted event was the last ARCA/CRA Super Series event that will be held at Columbus Motor Speedway, as the track has been sold and will close at the end of the 2016 season. The great group of fans attending the event got to watch a great race with plenty of passing throughout the field. Three time series Champion Johnny Van Doorn started things off by setting fast time in EDCO Welding Qualifying. Van Doorn drew a seven for the invert putting series rookies Chris Koslek and Dalton Armstrong on the front row. Koslek took the early lead from his pole starting position and led the first eight laps before 2013 and 2014 series Champion Travis Braden powered by to take the lead from Koslek on lap nine while series points leader Cody Coughlin, Van Doorn and Campbell worked their way to the front of the field behind Braden and Koslek. Braden would lead until Campbell was able to get by on the outside on a restart on lap 47 after the two had battled side by side for several laps. Campbell would fight through lap traffic and extend his lead and hold off Braden to get the win, his 19th series win, placing him now third on the series all-time victories list behind all-time leader Scott Hantz who has 31 wins and Brian Ross with 22. Campbell received the AR Bodies Cool Move of the race Award for his pass of Braden to get the lead well as the VanDoorn Racing Development Lap leader Award for leading the most laps Braden would finish in second and pick up the FLUIDYNE High Performance Cool Under Pressure Award. Coughlin would come back from the tail after spinning out to finish in third after his crew made several adjustments to the car on pit road, Coughlin earned the Sweet Move of the Race Award for his passes to get back to finish third and his crew was awarded the PitBoxes.com Pit Crew of the Race Award. With second in points Dalton Armstrong having his race end early with electrical issues, Coughlin has now extended his current series points lead. Steve Dorer came from his 16th place starting position to finish in fourth earning a Hoosier Performance Award and the Hamner Racing Engines Hardcharger Award. Van Doorn would hold on to get a fifth place finish. Local racer Chad Pendleton would finish in sixth place, the last car on the lead lap. Erik Darnell picked up a Hoosier Performance Award after coming from his 18th place starting position to finish ninth. 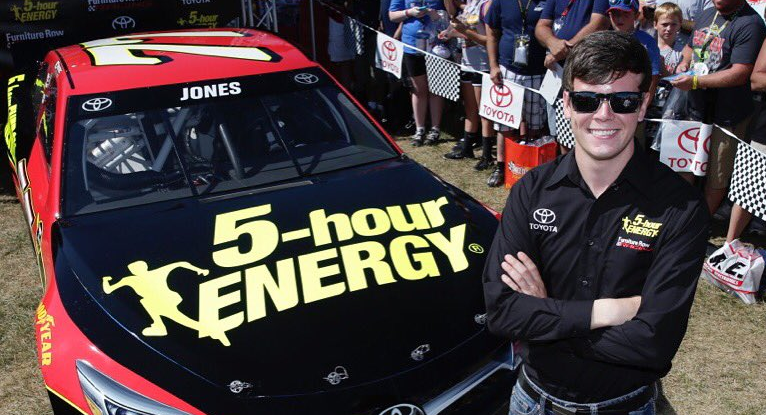 Koslek would win his first Senneker Performance Rookies of the Race Award with his 12th place finish. The next ARCA/CRA Super Series Powered by JEGS event will, be the Redbud 300 at Anderson Speedway on Saturday, July 16th. More information on the ARCA/CRA Super Series Powered by JEGS is available at www.cra-racing.com.